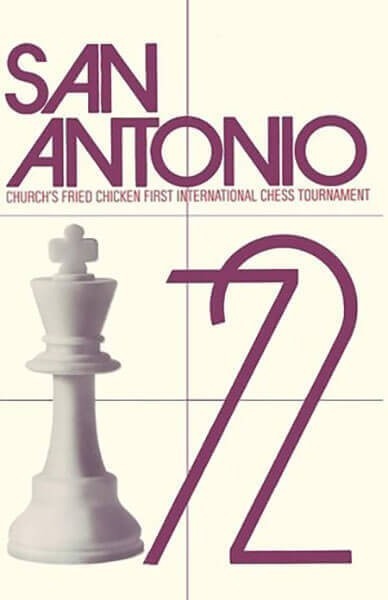 San Antonio 1972 was either the strongest chess tournament ever played in the history of the United States or, if not the very strongest, then second only to New York 1924. What makes this book especially great is not merely was it a great tournament with great players, but that the players annotated some of their own games. In this day and age, there are millions of games in the chess databases, but annotated games are increasingly hard to find. This book has games annotated by Karpov, Larsen, Hort, Suttles, Mecking, Donald Byrne, Gligoric, Keres, Saidy, Portisch, Kaplan, Evans and Smith. Two games were annotated by both Larsen and Petrosian. In addition, many of the games were annotated by International Master David Levy. This book was originally published in Descriptive Chess Notation. Since that time, Descriptive has become almost obsolete. For that reason, all 120 games in this book have been converted into modern Algebraic Notation and are included in an appendix in the back of the book. The games in the back are grouped and sorted alphabetically according to the player of the white pieces. Thus, all games in which Browne played White are first, followed by the games by Byrne, Campos-Lopez, Evans, Gligoric, Hort, Kaplan, Karpov, Keres, Larsen, Mecking, Petrosian, Portisch, Saidy and Smith in that order.